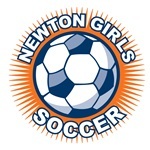 NGS’s policy on appropriate conduct for players, coaches and spectators is identical to the policy put forth by BAYS, the town travel league in which NGS participates. In addition, the conduct of NGS Academy players, coaches and spectators is subject to the same policy regardless of the league that the Academy team plays in (NSL). Within a period of one week, the NGS-SC will investigate the complaint through interviews with all involved individuals, and witnesses. During the week long period of investigation the individual or individuals at the center of the complaint will not be permitted to attend any NGS related activity. This time period allows the NGS-SC to determine fair and appropriate action without distraction. If the NGS-SC determines that disciplinary action is appropriate, the recommendation will be communicated to all involved parties. Disciplinary actions are most likely to occur in the form of game suspensions. During the above outlined process, the individual(s) at the center of the complaint should bring questions and concerns to the NGS-SC only. Attempts to contact referees, coaches, or other spectators during this process are not appropriate and will negatively impact the disciplinary recommendation. All actions of the NGS-SC are driven by the desire to create a safe and positive environment for NGS players to thrive as players and as people. Adhere to the NGS/BAYS rules and policies. 1. No one, except the players, is to speak to the referee during or after the game. Exceptions: Coaches may ask questions before the game, call for substitutions and point out emergencies during the game, or respond to the referee if addressed. 2. Absolutely no disputing calls, during or after the game, no remarks to the referee to watch certain players or attend to rough play. NO YELLING at the referee, EVER, and no criticism, sarcasm, harassment, intimidation, or feedback of any kind during or after the game. 3. Violators may be ejected and are subject to disciplinary action by the BAYS Sportsmanship Review Committee. 4. If coaches or spectators have questions regarding particular calls, rules, or a referee, or wish to give feedback regarding a referee, please contact the town soccer club referee’s coordinator for the game in question, or contact the BAYS Referees Representative at http://www.bays.org.